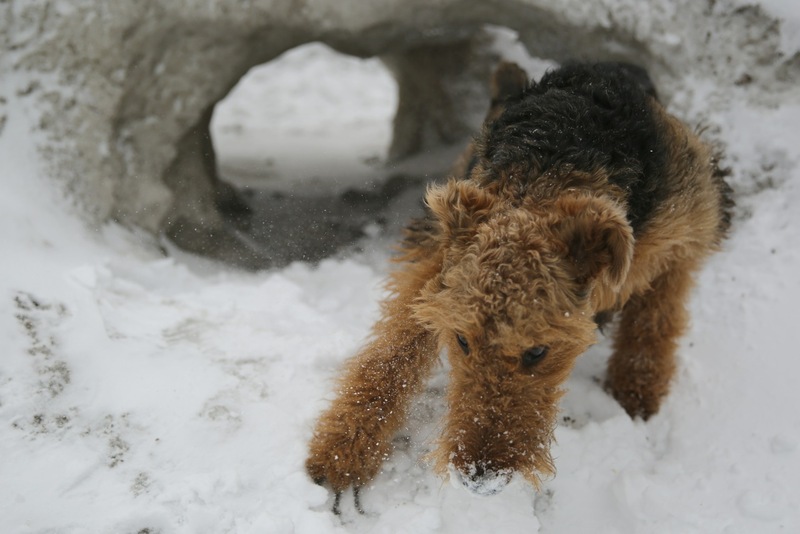 The first day of spring was marked by a new snow fall in Calgary. No appearance for crocuses here for a long time yet. 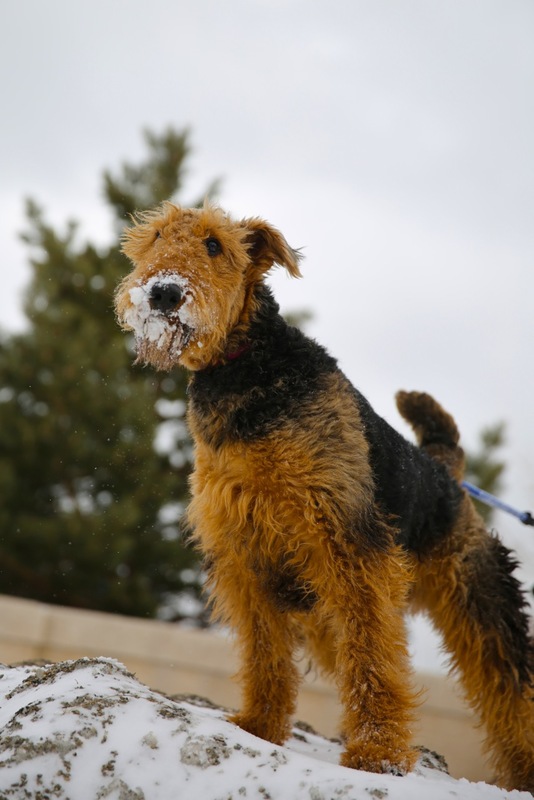 Arya the Airedale went out and about…. …and in and around a quinzee (an Athabaskan word for a snow hole). Thanks for coming and taking a look.